Can CT Scans Be Made Smarter To Use Safer Amounts Of Radiation? : Shots - Health News Making CT scans safer should start with simple step of figuring out how much radiation you actually need to get the job done, researchers say. 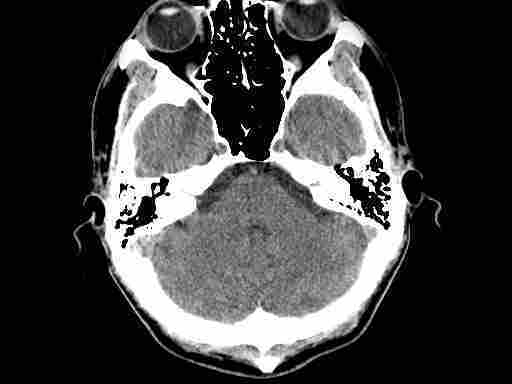 Doctors are crazy for computed tomography, or CT scans. The medical images can help them make diagnoses quickly, and they're easy to use. The scanning devices are often housed in the emergency department, which is one reason CT use among emergency patients rose 330 percent 1996 to 2007, according to a study out this week. By 2007, 1 in 7 emergency patients got a CT scan, according to researchers at the University of Michigan. But the X-rays used in CT scans expose people to a dangerous form of radiation that can lead to cancer. And many health experts say the current "one-size-fits-all" approach to figuring out how much radiation is needed to get a good image is loading up some people with more radiation than necessary. But it turns out this may be pretty easy to fix, says Ehsan Samei, a medical physicist at Duke University. Samei and colleague Olav Christianson have created software to monitor how much radiation patients actually receive by matching data from the scanning device with information about the age, gender and body part scanned for every single scan. So far, their database contains information from over 6,000 scans performed in various Duke medical facilities. As he reported last week at the conference of the American Association of Physicists in Medicine in Vancouver, the researchers expected to find differences in radiation dose among people of different ages and genders. But they also found significant variation in the doses even for the same body parts – heads, chests, abdomens – from different machines in the same facility. Samei acknowledged that figuring out the right dose for CT scans is a balancing act between picture quality and risk. But the information he's gathering is already traveling back to the CT operators in the Duke hospital system. He hopes that eventually, doctors and operators can make better informed decisions about how to get the best image for the job using the least amount of radiation.